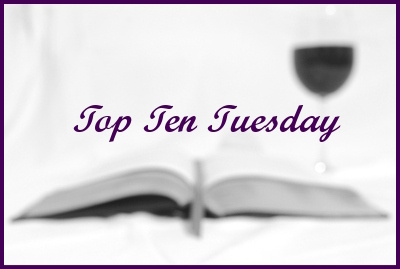 Top Ten Tuesday is a weekly feature/meme hosted by The Broke and the Bookish, because they love lists. It may need to be noted that for the purposes of this list, I'm translating "the second half of the year" to mean May 31 or later. LOL. I'm so excited to read all these books! From Amazon: "From the international bestselling author of Rebel Queen and Nefertiti comes a captivating novel about the infamous Mata Hari, exotic dancer, adored courtesan, and, possibly, relentless spy." The Autumn Throne by Elizabeth Chadwick. From Amazon: "England, 1176 Imprisoned by her husband, King Henry II, Eleanor of Aquitaine, Queen of England, refuses to let her powerful husband bully her into submission, even as he forces her away from her children and her birthright. Freed only by Henru's death, Eleanor becomes dowager Queen of England." Release Dates: UK: September 1, 2016; USA: October 1, 2016. Radio Girls by Sarah-Jane Stratford. From Amazon: "The Great War is over, and change is in the air, in this novel that brings to life the exciting days of early British radio... and one woman who finds her voice while working alongside the brilliant women and men of the BBC." From Goodreads: "Passing meets The House of Mirth in this 'utterly captivating' (Kathleen Grissom, New York Timesbestselling author of The Kitchen House) historical novel based on the true storyof Anita Hemmings, the first black student to attend Vassar, who successfully passed as white - un- til she let herself grow too attached to the wrong person." A Certain Age by Beatriz Williams. From Amazon: The bestselling author of A Hundred Summers brings the Roaring Twentiesbrilliantly to life in this enchanting and compulsively readable tale of intrigue. romance, and scandal in New York Society, brimming with lush atmosphere, striking characters, and irresistible charm." From Goodreads: "Comedian, activist, and hugely popular culture blogger at AwesomelyLuvvie.com, Luvvie Ajayi, serves up necessary advice for the common senseless in this hilarious book of essays." From the FB event for the launch party: " When young, solitary archaeologist Maria Feroe meets a beautiful young man with an interest in Norse myths, she believes her life has turned for the better. But the last thing she expects, when she sneaks after him into the woods one night, is that he is actually Bauldr, yoinger son of Odin. Days later, winter suddenly descends on Earth. Bauldr has been killed. Marina is the only one who knows how to bring him back-but to do so she must travel all through Midgard, with Hel's wolves on her heels. She has no choice but to bargain help from the only Aesir who will listen: Loki, the mischief maker. The one who murdered Bauldr." From Amazon: "Bestselling author and acclaimed historian Alison Weir takes on what no fiction writer has done before: creating a dramatic six-book series in which each novel covers one of King Henry VIII’s wives. In this captivating opening volume, Weir brings to life the tumultuous tale of Katherine of Aragon, Henry’s first, devoted, and “true” queen." The highly anticipated sequel to Miles O'Neal's debut novel, Year of the Dragon Lord. Release date: unknown. Author is hoping to release by the end of 2016.